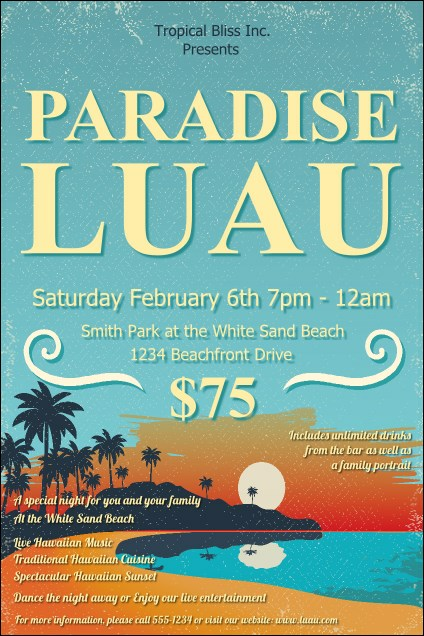 Celebrate good times and advertise your event with the Beach Poster. The sun setting over the ocean creates a warm feel to this poster, with a cool blue sky overhead. Enter eighteen lines of text on this template for your concert, warm weather gathering, or vacation giveaway. Create beautiful promotions with TicketPrinting.com.